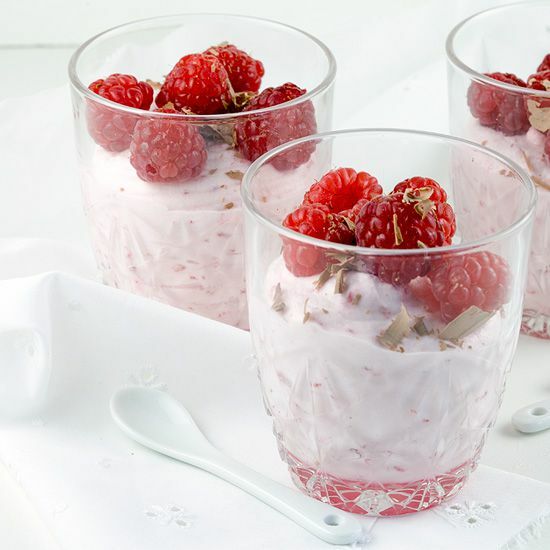 This soft and creamy raspberry mousse can be whipped up in a jiffy. Delicious for any occasion, can you wait while it sets in the fridge? Use a fork to crush half of the raspberries. 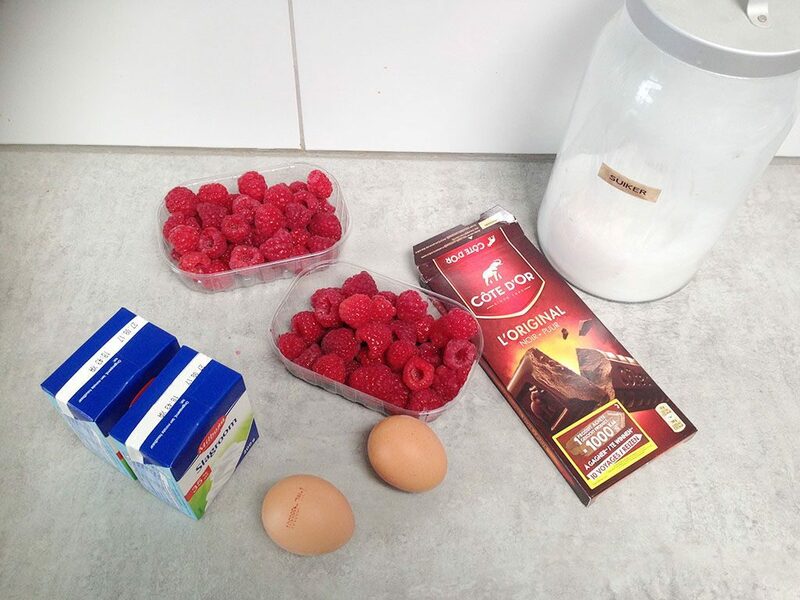 If you like your mousse very smooth, you can use a blender to create a smooth raspberry puree. BEAT the heavy cream until it has reached the thickness of yogurt. 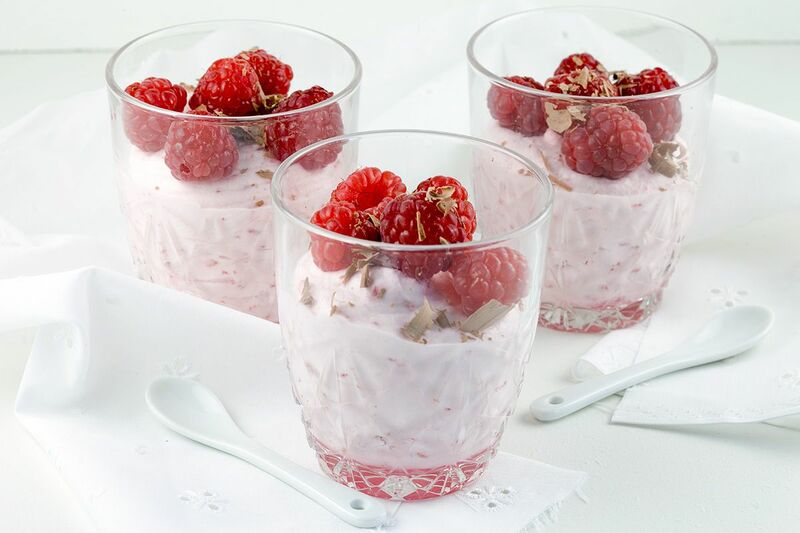 COMBINE the cream with the raspberry puree. DEGREASE the bowl and whisk of your standmixer with a few drops of lemon juice and a paper kitchen towel. BEAT the egg whites until they form stiff peaks. Gradually ADD the sugar and mix them a few minutes more. Carefully fold in the egg whites, make sure the mixture is as fluffy as possible and DIVIDE them over the glasses, the easiest way to do is using a piping-bag without nozzle, but you can also use a spoon. REFRIGERATE for at least 2 hours. As soon as the mousse is set enough, you can serve it. 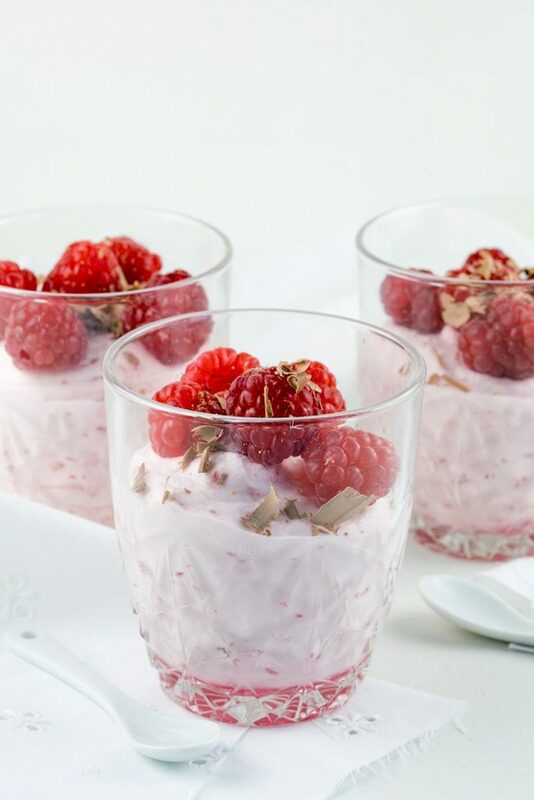 GARNISH with fresh raspberries and chocolate shavings. You can easily make your own shavings by scraping a sharp small knife over a chocolate bar. Enjoy!